A new seven day training course for WordPress has been launched by WP Compendium, helping small businesses to train their staff in the popular platform. It can help to boost productivity and increase sales and visibility. A new seven day WordPress course has been launched by WP Compendium, the leading online WordPress resource for non-techies. Using the course, businesses can save hundreds of dollars training their staff or employees to use WordPress without the need for technical skills, allowing them to create powerful and engaging sites. More information can be found at: https://wpcompendium.org/wordpress-training/train-your-staff-how-to-use-wordpress-in-7-days-for-free. The experts at WP Compendium explain that over a quarter of all websites run on WordPress now, and training staff how to use the system can save businesses time and money, boost productivity, improve efficiency, and gain a competitive edge to get better results online. 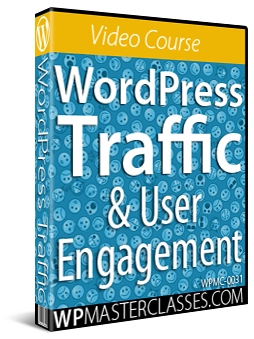 The course is designed to be easy to follow, and features a series of step by step instructions to understand and get the most out of WordPress. Users have immediate access to hundreds of detailed instructions, which they can refer to any time they need help. There are seven comprehensive lessons inside the course, covering everything WordPress users need to know, from understanding the benefits and advantages of using WordPress to creating and publishing content online, adding media, and more. There are a number of benefits to using WordPress for business. One is that it’s easy to use, and because files are stored online, people can build and manage their site from anywhere in the world. In addition to this, the way themes work means that people can quickly and easily change the look and feel of their website. Further, plugins allow people to extend the functionality of their WordPress site. They can add elements, widgets and more to ensure the best visitor experience. WP Compendium says that to compete successfully in the digital age, businesses need a digital presence that allows them to get the best results. Part of this is feeling empowered and in complete control of their website, and that’s the feeling that this new course helps to provide. Full details are available on the URL above.